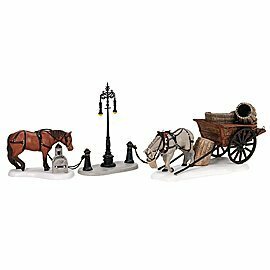 Horses at the Lampguard adds a quaint extra spirit to your Department 56 Dickens Village - or any Dept. 56 village - set-up. Piece is like new, in original packaging. Includes all pieces in like new quality, in original box.